Bathrooms are arguably the most important and used rooms in our homes, and it’s also one of the most difficult places to keep clean, not to mention incredibly irritating to clean and maintain too. But for folks who hate this chore than anything else, we have some good news: Gone are the days where you’ve to wear rubber gloves and a mask while cleaning your bathroom with bleach and other chemicals. In this article, we will be sharing nine handy tips and hacks to keep your bathroom cleaner and fresher for longer. Let’s get started. If you ask anyone when it comes to keeping their bathrooms cleans, most will agree that eliminating mildew stains is an effective way to keep a bathroom fresh and clean for longer. After taking a shower, make it a habit to wipe the water from the shower walls, bathtub, and doors with a squeegee. 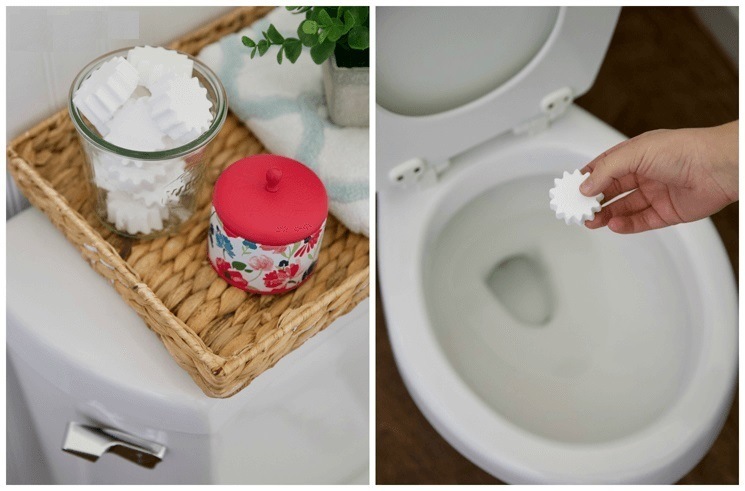 It only takes two minutes to do the task, it will keep your bathroom cleaner in the long-run. You can also reduce the moisture inside your bathroom by turning on the exhaust fan or by opening a window while showering. If possible, you can also keep the door open slightly. And after you’re done showering, stretch the shower curtain open to let it dry quickly. Want to make your bathroom look tidier and smell musty at the same time? Use large towel bars. Towels dry faster when you hang them across a towel bar. If you don’t have enough space to install a bar on your bathroom wall, consider an over-the-door towel bar. You can also use hooks. Speaking of exhaust fans or bathroom fans, clean the grimy bathroom fan regularly. Most of us don’t even know that there is a fan in our bathrooms, let alone clean. Over time this nifty thing can become clogged with grime, dust and other particles, and you need to clean it for it to operate fully. You don’t necessarily have to remove the fan from its housing to clean it, though it is better. However, if you aren’t up to the task, you can almost get similar results by using canned air. To prevent grime build-up in the future, apply wax to your fan, buff it off, and you're done. The whole can be done under 15 minutes. We recommend you do the bathroom fan cleaning first before you start cleaning other sections of your bathroom. The soap scum and the elements from the water will stain the showers walls and doors over time. If you want to save time scrubbing your shower walls and doors, we suggest you coat the surfaces of the walls and doors with water repellents like RainX or EnduroShield. Bar Keepers Friend Cleaner & Polish is a great recommendation. It’s also insanely easy to use. Turn the shower and get everything wet. Sprinkle a thin layer of this miracle stuff on the wet areas of your tubs, sinks or toilets. Lightly scrub the areas with a dish scrubber and rinse. No hard scrubbing required. Be amazed by the results! Use cleaners that resist stains on sinks, bathtubs, and toilets. Some of these cleaners can prevent stains for up to seven days. We recommend Mr. Clean Bath Cleaner with Shine Shield and Lysol's Click Gel Automatic Toilet Bowl Cleaner. If you don’t want to use chemicals, make yourself a DIY Cleaner with apple cider vinegar and water. Put the mixture in a spray bottle. After you’re done showering, spray it all over your shower and bathtub. You probably know how annoying it is to bend over and scrub those nasty rust stains on your tub from shaving cream cans. To prevent those rust stains, clear nail polish at the bottom aluminum cans to prevent rust residue from staining your sink, bathtub, or shower. You probably have seen this that the scum and grime from your soap dish are messing up your sink and counter top. Eliminate it all by using a hands-free soap dispenser or a liquid soap with a pump. One of the main reasons you can keep your shower or bathtub clean for a long time is because you simply have too much clutter. Remember those little pink rings under your shampoo or conditioner bottle? If you serious about prolonging the tidiness of your shower or tub; simply remove the clutter. Hang all your bathing products and other stuff on a curtain rod or use a mesh shoe organizer on your door. Speaking of keeping your bathroom clutter-free, organize your cabinet. Dedicate a spot on your medicine cabinet for your cosmetics and other stuff you use on daily basis. It will make your bathroom tidier and you can also reach the product quickly. A clutter-free counter makes a bathroom feel and looks cleaner. Many use air fresheners to keep our bathrooms smelling wonderful. The problem is that the smell doesn’t last long. But using this air freshener hack, you can do it. This trick works great with a roll of toilet paper. How? Wrap the toilet paper holder with a few scented sheets and place the roll over it. Now when someone pulls the toilet paper, the scented sheets will release the scent. Fresh and neat, isn’t it? It’s not uncommon to see toothpaste splatters, shaving cream leftovers, watermarks, pink rings and things like that in the sinks and tub. Keep a canister of disinfecting cleaning wipes are great for quickly cleaning these messes in a jiffy. Don’t ignore them because these things become tougher to remove when dry. For cleaning spots, products like Clorox or Lysol work great. Also, keep a stash of dry sheets or microfiber cloths like TIDDOX® MicroMAX from TIDDOX under your sink. 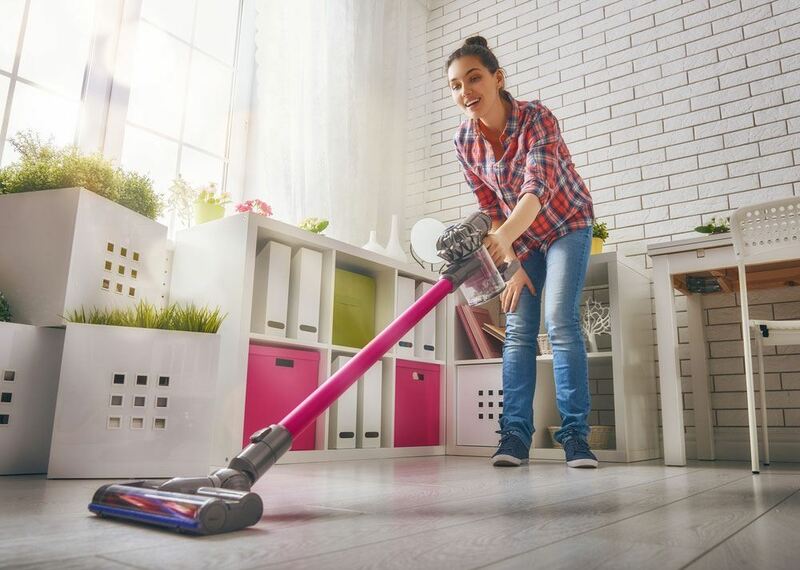 Use them to easily and quickly pick hair and dust bunnies from the floor without grabbing the vacuum cleaner.